Once the corned beef was ready, Greg sliced it up. 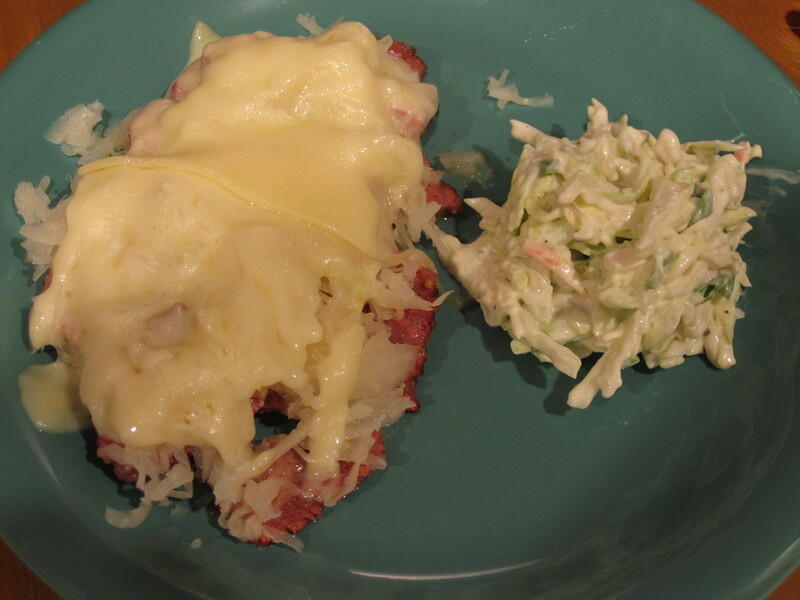 We topped it with some sauerkraut and sliced swiss cheese and let the cheese melt until it was nice and gooey. We had the coleslaw on the side and served it with some Russian dressing on the side to dip. It was a great meal and we did not spend much time making it at all! 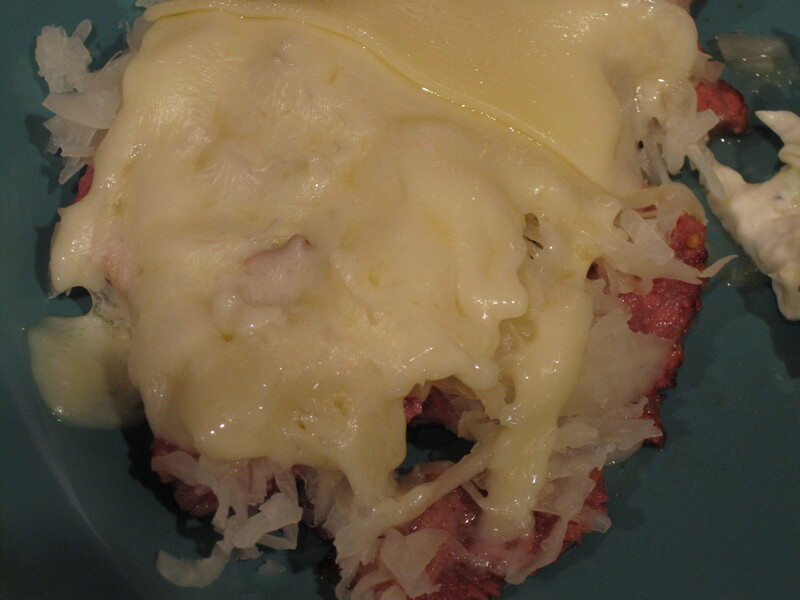 This entry was posted in Beef, Sides and tagged coleslaw, corned beef and cabbage, dinner ideas, easy, low carb, quick, semi-homemade, sugar free. Bookmark the permalink.